Church Mutual is always adding to our library of safety materials for senior living communities. The current materials shown below are all available to our customers free of charge. Some of our other safety materials also are appropriate for senior living communities, so feel free to browse the various areas of our Safety Resources library using the links in the gray bar to the left. To review the types of safety materials available just for senior living communities, click a link below. Almost daily you hear about it from a friend, see it on the news or read about it on the internet: another death as a result of a drug overdose. 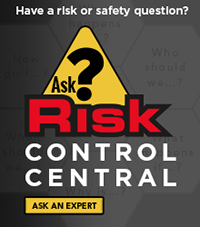 What is your facility doing to combat this risk? Bullying is a growing problem among older adults. Take action now to protect your organization and those in your care. Use these tools and resources to inspect your facility to ensure safe operation for your residents, visitors and employees. Use this checklist to inspect your facility to ensure safe operation for your residents, visitors and employees. Remind employees how to safely lift residents with the quick tips on this poster.